Vics Under 16's turned on the style at Chester's Deva Stadium for their 2016 Chester Cup Final. Vickies U15 CGFL European League Champions! Well done to this great bunch of girls managed by John who won the Cheshire Girls Football League U15 European League title with a 100% win record. Vickies U13 Girls - CGFL Inter League Champions! Well done to this great squad of girls who won the league title in style. Northwich Vics Juniors Clubshop is now available to browse on-line. Please place any orders via your team manager. 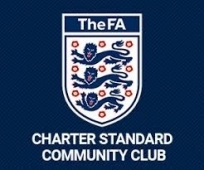 Northwich Vics Juniors Are Awarded FA Community Status!